An oval miniature in watercolour on ivory in an oval gilt metal suspension frame. The sitter is shown head and shoulders against a neutral sky background, half turned to his left but looking out to the viewer. He wears the 1795-1812 full-dress uniform of a captain of under three years seniority, indicated by a single epaulette on the right shoulder only. He has short grey hair and blue/grey eyes. 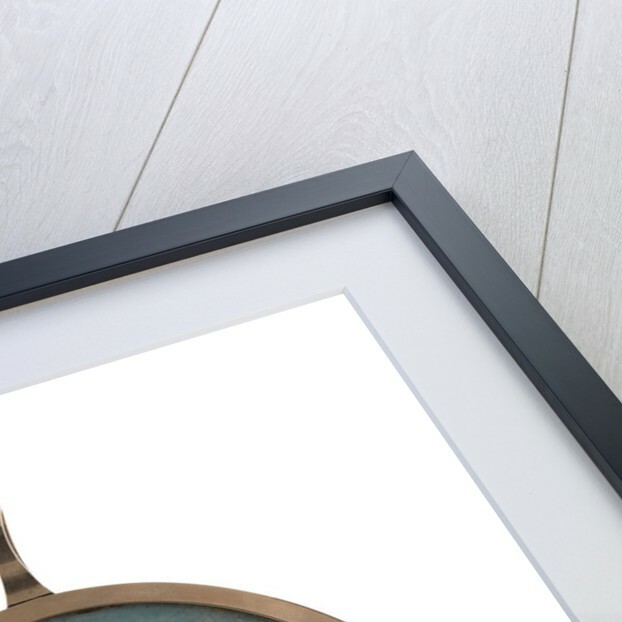 The frame formerly had a glazed back which covered some element now missing, possibly hair on an internal mount, from which glue traces remain on the paper backing the ivory. This is also informally inscribed in ink 'Sir Jahleel Brenton', in a 19th-century hand that must be after 1815, the year he became a baronet and KCB in the post-Waterloo honours. The uniform and the sitter's biography suggest the portrait was done about the time of his first marriage, in England in 1802. Brenton's father, also Jahleel and finally a rear-admiral, (1729-1802), was from a family that had earlier gone to America, where his son was born in Rhode Island, but returned as loyalists in 1780. 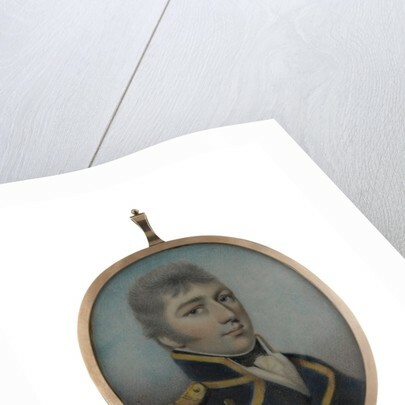 He entered the navy in 1781 under his father in the 'Queen' and 'Termagant', but subsequently returned to school and then lived with his family in France until 1787 before going back to sea. 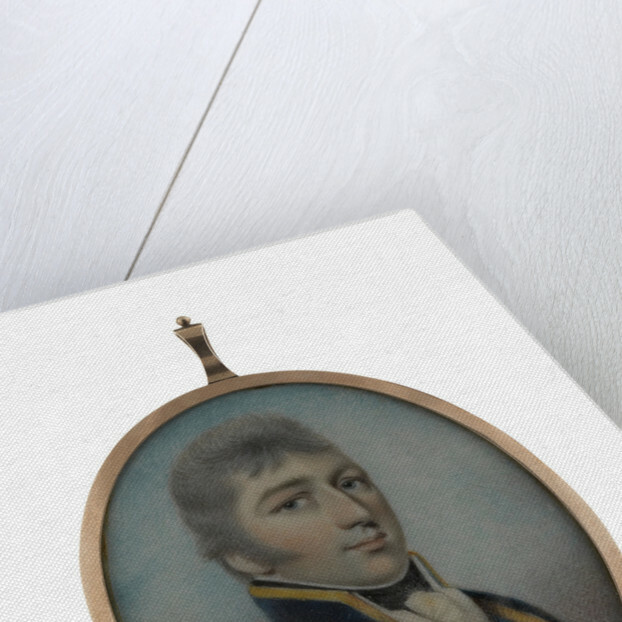 In 1790, after passing as lieutenant, he briefly served in the Swedish navy against the Russians, returning home in November. His next active service was in the 'Speedy' against smugglers, then on the Newfoundland station and retrieving troops from Flanders in the 'Sybil'. After sick-leave he was in the Mediterranean under Jervis including in the Barfelur at the Battle of St Vincent in 1797. 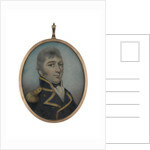 He was master and commander of the 'Speedy from September 1798 to April 1800 when he became post captain in the 'Genereux' (a prize) and subsequently flag-captain to James de Saumarez in the 'Caesar' in 1801, fighting at both the Battle of Algeciras and in the Straits victory of July 1801. On resumption of war in 1803 his command of the frigate 'Minerva' was initially interrupted by being hit by a falling block and ended when he had to surrender her in July after running aground in fog under the guns of Cherbourg while in pursuit of enemy ships. He remained a prisoner in France until December 1806, where his conduct and care of fellow prisoners helped persuade Decres, the Minister of Marine, to allow his family to join him. In 1807, after being exchanged, he took command of the 'Spartan', 32 guns, in the Mediterranean under Collingwood. The latter thought him rash, after he suffered heavy casualties in a skirmish off Nice, but by 1809 he had redeemed himself by gallant action off the Spanish coast and in the Adriatic. In May 1810 he was severely wounded in another ill-judged engagement with superior a French force off Naples, though his bravery, (and that of his first lieutenant), won him much approval. His subsequent services were conditioned by his injury and erratic health, both of which soon terminated early sea commands. In 1813 he was commissioner at Port Mahon and from 1815 to early 1822 at the Cape of Good Hope, where his wife died. He remarried late in 1822. 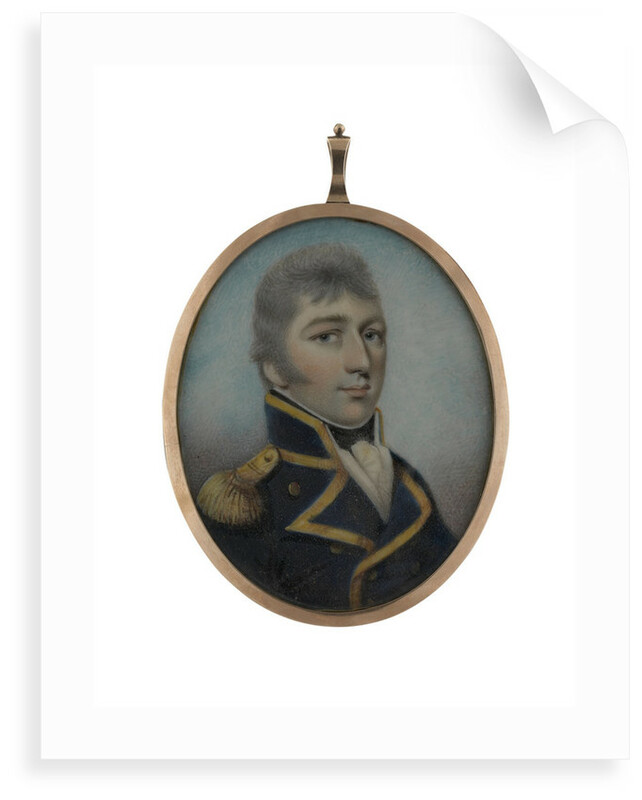 He subsequently had brief command of a royal yacht and in 1829 of the guardship 'Donegal' at Sheerness before being promoted to rear-admiral in July 1830. From September 1831 to 1840 he was Lieutenant-Governor of Greenwich Hospital. On retirement that July he was restored to seniority as a Vice-Admiral of the White and after living in Westmoreland and Staffordshire died at Leamington Spa in April 1844. Brenton was a cheerful but serious and pious man of evangelical leanings, who did considerable charitable work relating to seamen and was highly regarded by his contemporaries. His younger brother Edward Pelham Brenton, also a naval officer, was also a significant naval historian. More by the artist Smith of Barbadoes.